I admit, this is not the most appetizing angle, but trust me, it’s a must try item. 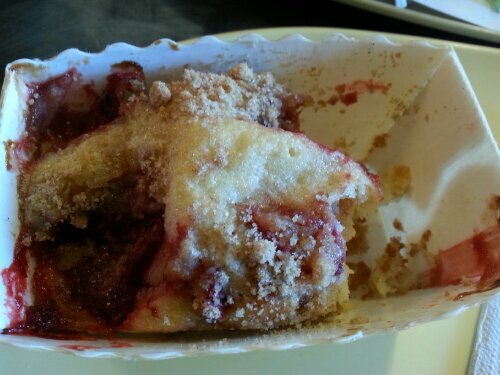 Panera has introduced a juicy, ripe and sweet menu item–a strawberry rhubarb mini cake. For $2.29, customers get a moist cake with real strawberry fruit pieces and tangy rhubarb chunks. This little cake comes in a cute mini paper loaf pan and perfectly compliments the strawberry poppy seed chicken salad. Hail the succulent strawberry! Tip: Warm it up for 20 seconds. You won’t regret it. Don’t forget to Rate, Comment and/pr subscribe! Taco Bell Taste Off: Cool Ranch Doritos™ Locos Taco Review. On March 6, 2013, Taco Bell added a cooler addition to the sharply cheesy, nacho-flavored crunchy indulgence–the cool ranch Doritos™ locos taco. For those of you who don’t know, this is the second Doritos™-inspired taco flavor, which seems to be selling very well. I think it’s important to bear in mind that the flavor of these tacos can be hit or miss depending on whether or not your local Taco Bell is heavy handed with powdering their taco shells. This taco shell is a standard corn yellow chip color with fun ranch-like shavings on the edges. To put this in perspective, (when eating with pieces of chicken) imagine eating a chicken ranch salad with crumbled Doritos™ chips as a salad topping. Pretty simple. Add sour cream and you’ve got something worthy of worship. Let’s continue. I ordered this taco with beef and wasn’t really impressed, because I felt that ranch flavor was muted when paired up with the beef. The little bit of ranch flavor was easy to detect on the upper edges only; the beef flavor overpowered the ranch and I could barely taste the ranch flavor. I should have taken the minimal visible ‘ranchness’ on the edge as a hint that the ranch flavor probably wasn’t evenly dispersed. And boy was I right. Perhaps the taco didn’t have enough cool ranch powder on it. Maybe this taco needed the powerful help of sour cream to make it fun. This is where chicken becomes relevant. I ordered this taco with chicken, because I like the pairing of ranch and chicken together I figured it would be a more natural flavor blend than beef. This flavor compared to the beef was lighter, more refreshing–almost like a salad with those crisps on them. It made me think of summer for some reason. I enjoyed this more than the beef, because the chicken flavor played off the ranch on the taco. You can taste the cool ranch flavor better and the chicken almost rounds it out. And this is by far, my favorite combination–the sour cream was like the cherry on a sundae. Cool ranch, paired with chicken veggies, cheese and sour cream. It’s amazing how muted sour cream is on its own,but in this case, it was the glue that held all of the flavors together. In the supreme taco, I didn’t feel as if the beef overpowered the ranch flavor. This time, I actually had a taco that wasn’t shy of ranch. This again, reminded me of a light and refreshing bite of summer. I was sad I didn’t get another one. 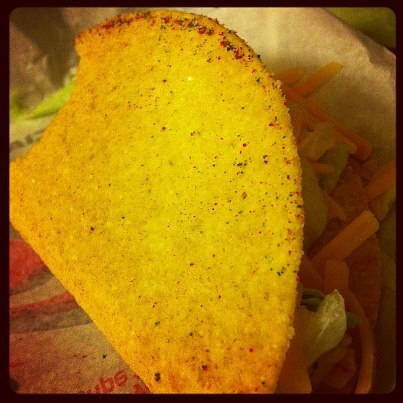 Taco Bell Cool Ranch Doritos™ Locos Taco (regular, with beef) Yumfactor: 2 tongues and a taste bud (2.5 out of 5 stars). The beef tasted good, but I didn’t like the combination paired up with the ranch. It could have been the lack of presence the ranch had when I ate this; the ranch seasoning on the taco shell didn’t come through very well. My taste buds prefer chicken with the cool ranch taco. 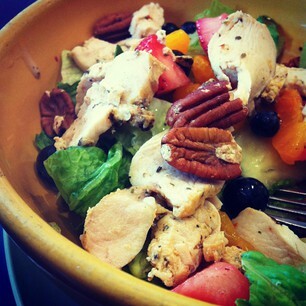 It just tastes healthier–more wholesome and complimentary. Taco Bell Cool Ranch Doritos™ Locos Taco (regular, with chicken) Yumfactor: 3 tongues (3 out of 5 stars). I enjoy a lighter-flavored meat with this shell. I felt as if I was eating a crisp salad with a powered ranch overtone. Overall, everything blended well together. No overpowering flavors or meats with this one. The cool ranch came out of its shell a little more to say hello to the world around it. Taco Bell Cool Ranch Doritos™ Locos Taco (chicken supreme) Yumfactor: 4 tongues and a taste bud (4.5 out of 5 stars) I really enjoyed this. Every flavor completes the other, creating an indulgently harmonious blend of bites. The cool ranch flavor seemed to latch on to the cool sour cream and held hands; the sharp shredded cheese, lettuce and tomatoes also meshed well with the tangy ranch shell. The chicken–buried under all of the flavors–also made a humble appearance in this taco. It’s just natural this way. The chicken varieties are perfect for those who don’t eat beef, want a break from beef/horse meat/sand/whatever else, or crave a light, yet filling snack that will leave your conscious devoid of calorie guilt. What Doritos™ flavors would you like to see as a taco shell flavor? What are your thoughts on this taco? Do you prefer chicken or beef? Rate, Comment and Subscribe! 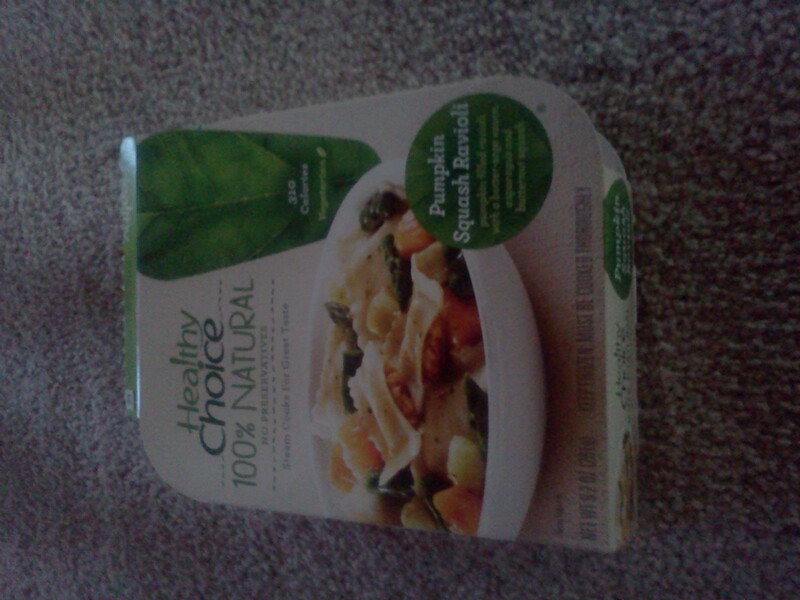 Healthy Choice pumpkin ravioli (with asparagus, apples and butternut squash) Review. 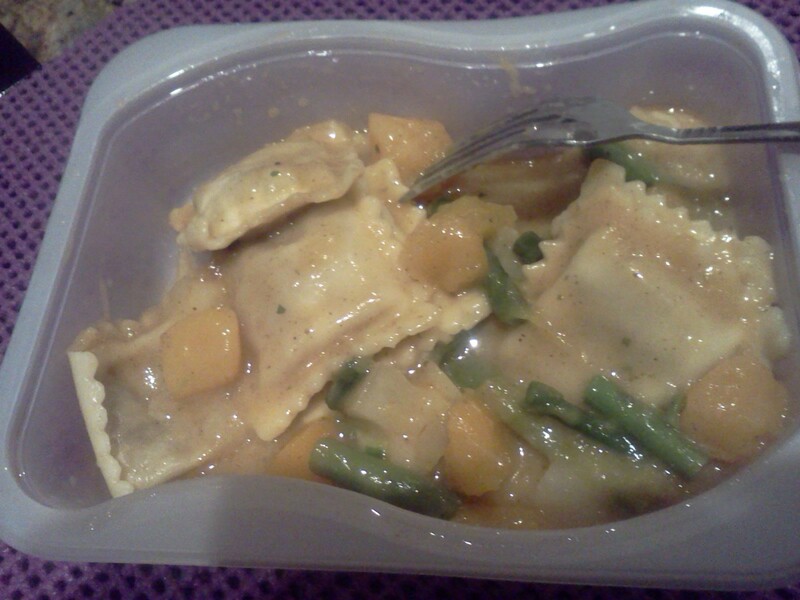 Healthy Choice’s Pumpkin Ravioli with apples and Butternut Squash. What a mouth full. Ever since the commercial with Mindy Kailing advertising new Healthy Choice’s Pumpkin Ravioli with apples and Butternut Squash, I was curious. Mainly because I wondered what butternut squash tasted like. 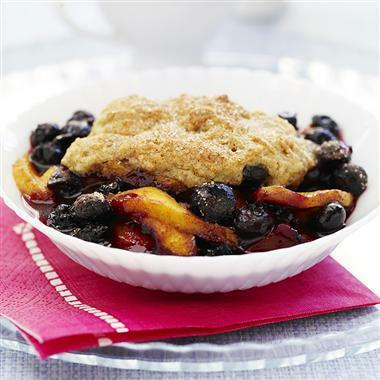 It seems to have become more popular in dishes, such as soups, and as side items. But I also was curious about pumpkin ravioli. This by far has been one of my favorite frozen entrees. Firstly, the warm flavors of the apple and the pumpkin bring a ring of autumn depth you often experience with rich flavors like these. The subtle butternut squash adds a tinge of sweetness to the tart apples. The asparagus is sharp, but blends beautifully with the delicate butter sage sauce. I could not imagine the harmony of this dish unless all the ingredients were mixed together. The meal contains 310 calories per serving. My only gripe is that you get about 9 ravioli. Why? Because it’s so good, I always wish for 10. Or 12. Also, whenever I follow the microwave directions on the package, I notice that one ravioli gets hard, to where when I chew it, it’s overly cooked on the edges. I have no idea why. This has also occurred with the Lobster ravioli I sampled from them. (Post coming soon). This balance of bold richness, smart calorie content (which may not suffice if you’re starving, but hey it’s not supposed to) and important vegetables make for a convenient lunch or dinner, and invoke a unique flavor experience. Another picture of what the box looks like. Healthy Choice Pumpkin Ravioli with asparagus, apples and butternut squash Yumfactor: 4 tongues and a tastebud (4.5 our of 5 stars). I really like this. I find that the flavors are well balanced and very exotic. 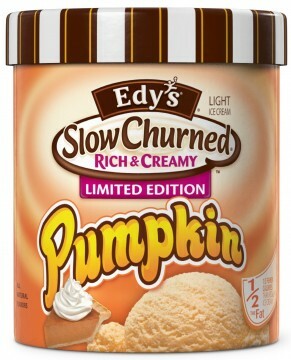 It can be a bit fall for some, however, it’s very tasty. If you are famished, I recommend possibly eating 2 entrees if you’re not into calorie counting and are buying this entrée just to taste it. That’s what I’m doing. If you don’t, you may be hungry an hour later, just as a sidenote. It may not be flavorful enough for some, but you can always add pepper, garlic or whatever else to spice it up. Like this post? Why not rate, comment and subscribe to more exciting posts in the future! Banquet Pot pies and feeding hunger in America. You can help. Side note: There are also fruit pies available. Click http://www.nytimes.com/2011/03/21/business/media/21adco.html for more information on the company, and other products that can help feed hungry children. I have always loved this mix as it balances sweet chocolate with salty pretzels. 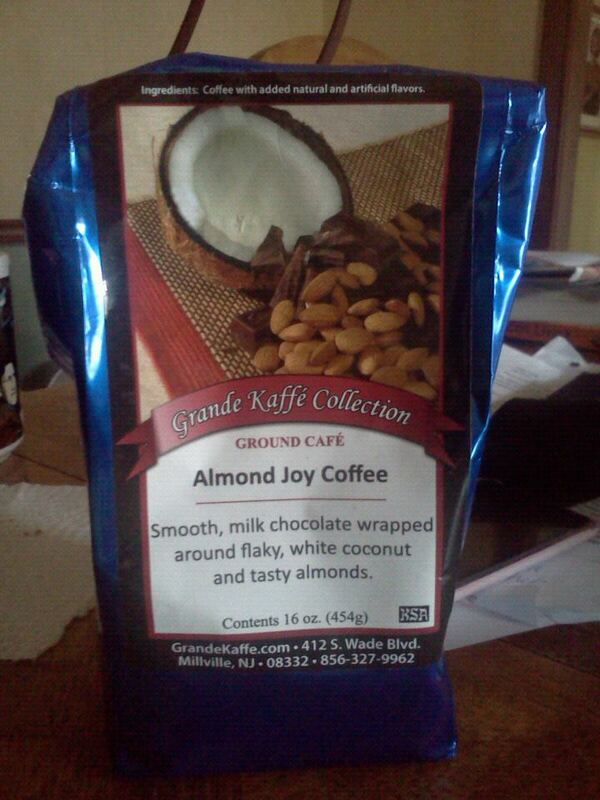 I tried it a few years ago and have always looked for it, so naturally I was not hesitant in picking up another bag! 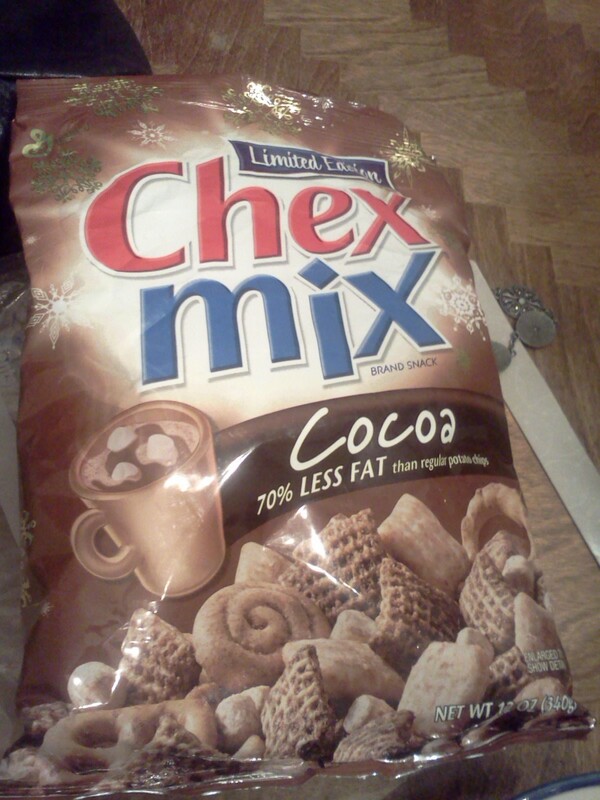 It was about $2.00 and change, and is normally made available around the winter months, which makes sense considering it is supposed to be a Chex interpretation of hot cocoa. Fun! 😀 Firstly, Chex mix seems to be a crowd pleaser, and the standard flavors tend towards the salty, (although there are candies in some of them) which is to be expected. Note: For those who are diabetic, while this snack is low in sugar, please remember than this in a carb than will break down into sugar once eaten and digested.